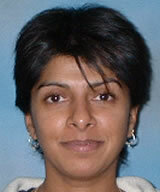 Bhanu Ramaswamy is an Independent Physiotherapy Consultant. She qualified as a physiotherapist at The University of Wales, Cardiff in 1988, and spent her formative years rotating though the basic clinical rotations across hospital and community settings before taking up more senior posts. Bhanu worked in North America for two years developing a more holistic view of rehabilitation. On returning to Sheffield in 1994, she focussed her attention on the specialty of older people and joined both older people and neurology clinical interest groups of the Chartered Society of Physiotherapy (CSP). Through these links, she began to participate in local, regional and national projects on their behalf promoting and sharing good practice amongst other like-minded therapists. Between 2004 and 2010, Bhanu was appointed to the post of Consultant Physiotherapist in Intermediate Care at a National Health Service community hospital in Derbyshire, England. The main clinical aim of the post was to admit medically stable, but physically unfit older people with rehabilitation needs onto a therapy-led ward. The post was a joint practitioner-lecturer post, part funded by Sheffield Hallam University where she worked as a post-graduate lecturer and researcher during the six years. Bhanu’s two areas of specialist interest are in Parkinson’s disease and rehabilitation of older people, for which she represents the CSP on national projects. Her general interests involve finding time to kip (sleep), to socialise with friends and family and to track down her husband who travels a lot in his work! At times, he seems as elusive as her work-life balance! Member of the Chartered Society of Physiotherapy (CSP) 1988 - present day. Acupuncture Association of Chartered Physiotherapists (AACP) 2005 - present day. Assist in the publication and update of physiotherapy-related Fact sheets. Keep moving (1999), an exercise video and booklet based upon a rationale for an exercise regime for people with Parkinson's. 2009 Quick Reference Cards (UK) and Guidance notes for physiotherapists working with people with Parkinson’s disease. In progress: Ramaswamy B, Jones D (draft, in final review) Mobility. In Reed J, Clarke CL, Macfarlane A (eds) Nursing Older Adults. Empowering Older People. Open University Press. 2007 Co-authored a chapter in the Concise Oxford Book series: Pain in the older person on ‘Physiotherapy and Occupational Therapy’ with Jill Chanter and Claire Craig.